‘’ It’s that George Jetson fellow again! He joins me on stage a lot, because it helps to emphasize a key point – the future is going to arrive faster than you think! 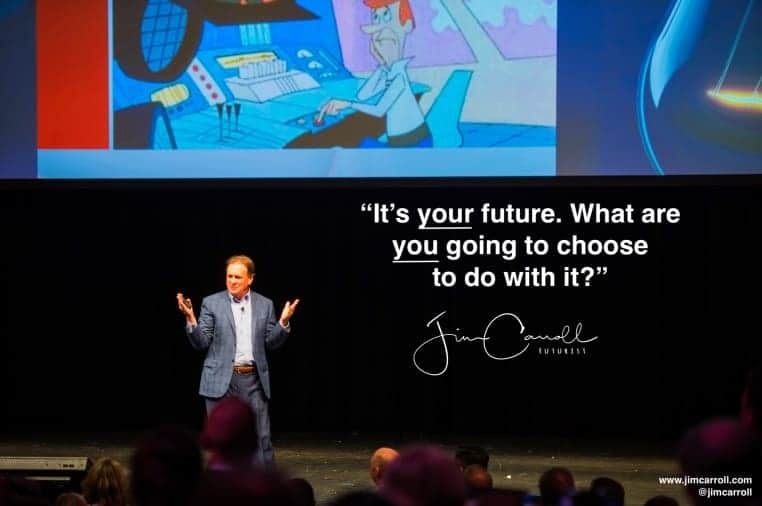 But this quote has nothing to do with George – it has to do with the ‘blame game.’ When I’m speaking to people about the future and trends, I note that far too many people and organizations blame others for the change, disruption, upheaval and other challenges that are underway. My approach to the future is pretty simple. We have a pretty good idea of where things are headed. We can identify may of the actions we should take to get there and take advantage of the opportunities it presents and the challenges we will face. And from that, we can make a decision to do something – to actually follow and stay true to our tin plan. In other words – think, identify, act, do. It’s not like its complicated!